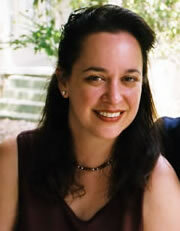 The Austin SCBWI Cynthia Leitich Smith Writing Mentor Award honors one of the long-time members of our chapter. Cynthia is an inspiration not only as an award-winning and best-selling author, but also as a champion of children’s book writers. She hosts the informative and popular Cynsations blog, which is a must-read for anyone in the children’s book industry. Cynthia also is an extremely generous member of the Austin kidlit community, offering up her time and knowledge to help fellow writers whenever she can. She’s embodies the kind of writer we all try to be. The award bearing her name will follow her example and give guidance to up-and-coming writers. Inspired by the Houstin SCBWI chapter‘s Joan Lowery Nixon Award, the Cynthia Leitich Smith Writing Mentor Award starts with the critiques at the annual Austin SCBWI conference. Critiquers nominate one of the manuscripts submitted to them for the award, if they feel the manuscript is of a high enough level. The nominated writers will make up the finalists, who will be announced after the Saturday sessions of the conference. The finalists’ work will then be submitted to the mentor, who will choose the winner, announced on our website after the conference. Our mentor for 2018 is Jennifer Ziegler. 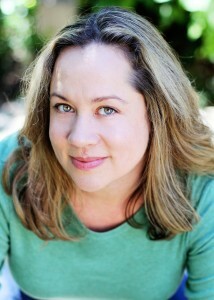 Jennifer Ziegler is the author of the Brewster Triplet Series for Scholastic — Revenge of the Flower Girls, Revenge of the Angels, Revenge of the Happy Campers and the upcoming Revenge of the Teacher’s Pets — as well as the young adult novels How Not to Be Popular, Sass & Serendipity, and Alpha Dog. Her books have been featured on the Lone Star List, the International Reading Association’s Young Adults Choice List, recommended on NPR’s “Tell Me More,” and optioned for film and stage. Visit her at jenniferziegler.net. Read our interview with Jennifer Ziegler. Liz Garton Scanlon, poet, teacher and author of a number of picture books, including the Caldecott-honored All the World, the picture book The Good-Pie Party and the novel for young readers The Great Good Summer. Read our interview with Liz Garton Scanlon. Bethany Hegedus is the author of picture book biography Alabama Spitfire: The Story of Harper Lee and To Kill a Mockingbird, as well as the award-winning picture book biographies Grandfather Gandhi and the newly released Be the Change: A Grandfather Gandhi Story, both co-written with Arun Gandhi, grandson to the Mahatma and illustrated by Evan Turk. The Grandfather Gandhi books join Bethany’s novels Truth with a Capital T and Between us Baxters in gracefully handling race, class and diversity issues. Bethany is the Owner and Creative Director of The Writing Barn, a writing retreat, workshop and event space in Austin, Texas. Read our interview with Bethany Hegedus. Varian Johnson, Vermont College of Fine Arts MFA graduate and author of Red Polka Dot in a World of Plaid, My Life as a Rhombus, Saving Maddie and The Great Greene Heist. Read our interview with Varian Johnson. Brian Yansky (2015 mentor) Vermont College of Fine Arts MFA graduate, Associate Professor at Austin Community College teaching writing, and author of Utopia, Iowa, My Road Trip to the Pretty Girl Capital of the World, Wonders of the World, Alien Invasion and Other Inconveniences and the sequel Homicidal Alien & Other Disappointments. Read our interview with Brian Yansky.